VisitRichmond Information Point at Richmond Train and Tube Station Information CentreVisitor information about Richmond. Brochures, maps and leaflets available. 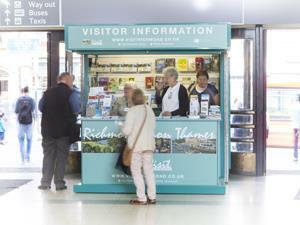 Visitor information about Richmond. Brochures, maps and leaflets available. Open April to October 2013; 10am to 4pm 7 days a week. Exact closing date to be confirmed, depending on the weather.